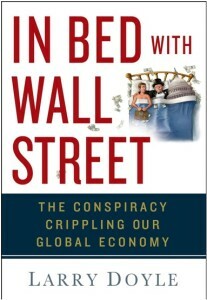 For those in and around the metro Washington DC area, I hope you might be able to join me on June 5th when I speak about my book, In Bed with Wall Street: The Conspiracy Crippling Our Global Economy, at the Library of Congress. The Library of Congress happens to be the largest library in the world. That said, as I have only half-kiddingly told friends about this speaking engagement, I feel like my book talk at the LoC is the equivalent of going into the reading room next to the master bedroom and revealing a host of illicit behaviors of the masters of the house.